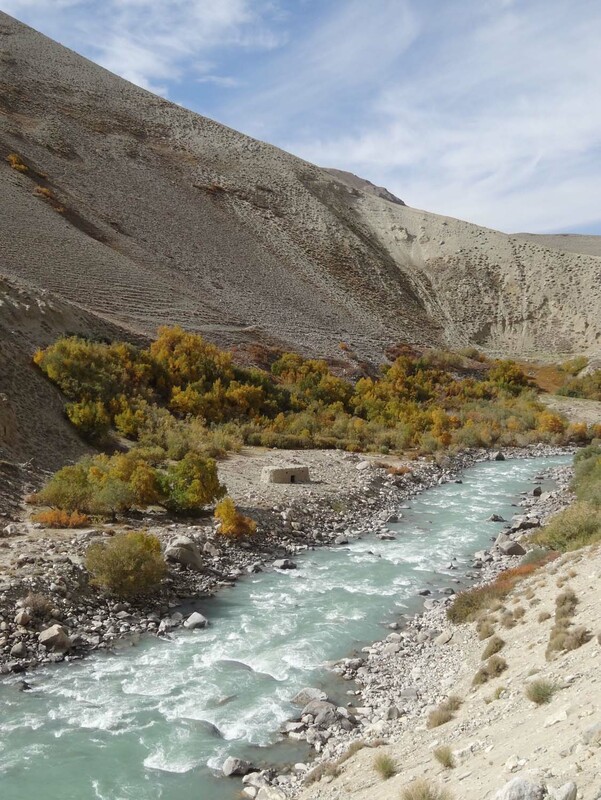 After we left the Pamir Highway we drove south into the Wakhan Valley, straight down to the Pamir River. 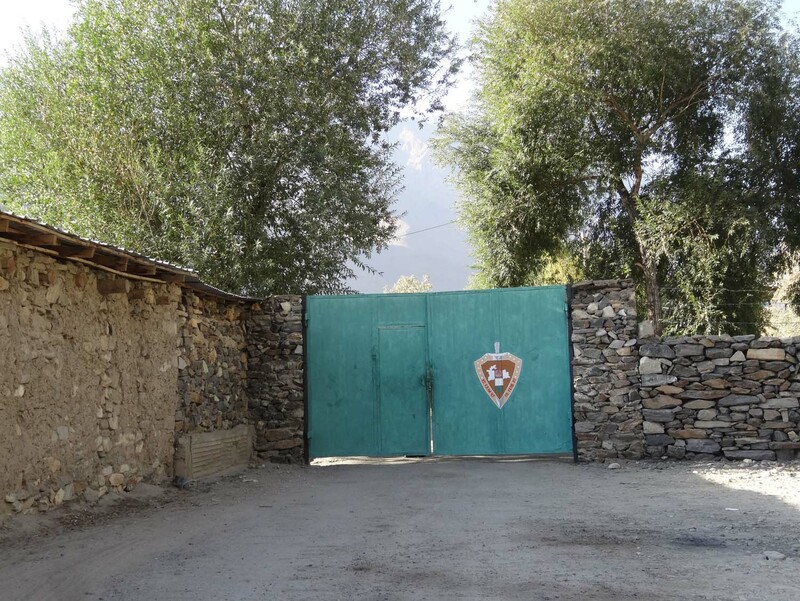 After another passport check at a remote army post the gate was opened and we were now driving next to Afghanistan, with just the river separating the 2 countries. 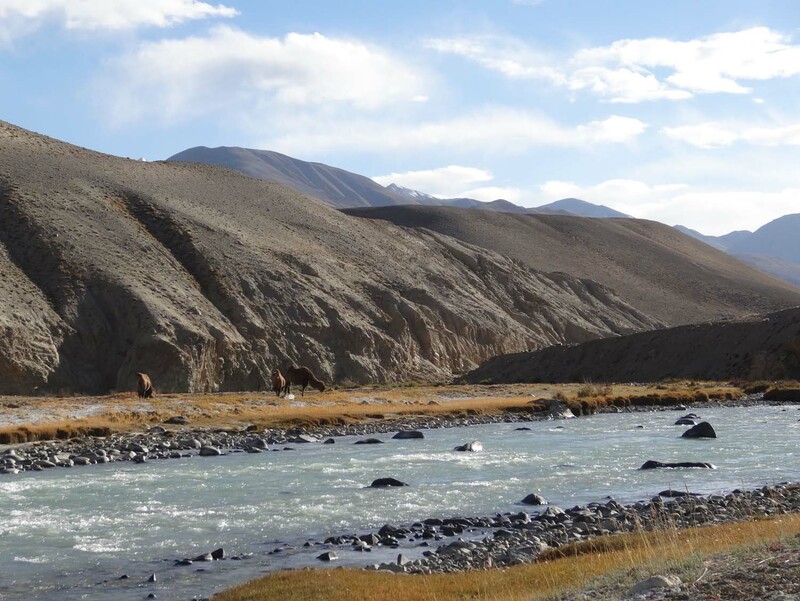 A little further we spotted some Bactrian camels on the Afghan side and decided it would make a great place to camp, an early stop for a change. 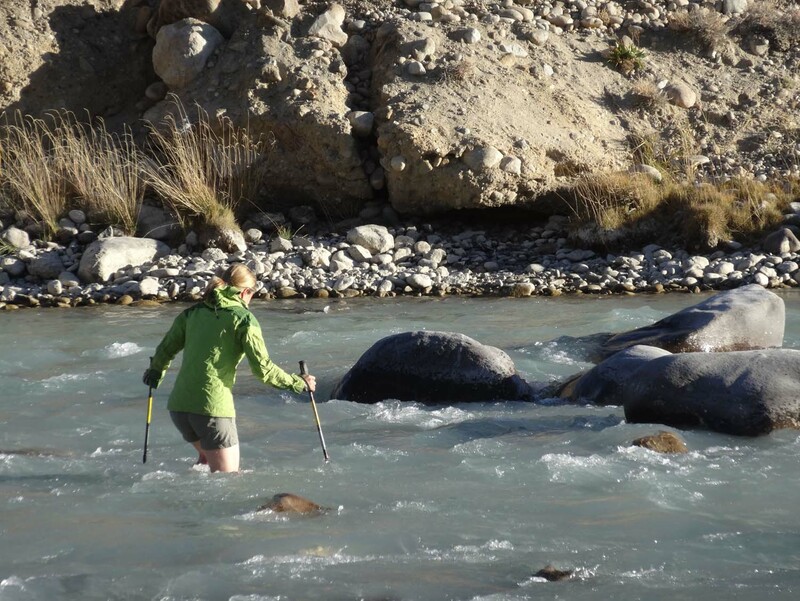 Of course with Afghanistan only a river crossing away we got out the walking poles and headed across. The clear water was freezing, fast-flowing and deep in a few spots, but it definitely made it a birthday never to forget for Jude. We prepared a nice curry, uncorked a bottle of Vasse Felix cab sav (which had cellared pretty well in the back of Lara for 7 months) and celebrated whilst gazing at the stars. This area is so remote we didn’t see another car during the entire afternoon, evening and next morning until we reached the small settlement of Ratm where Jon walked to an old fort. Jude stayed with the car to protect it from thieves. 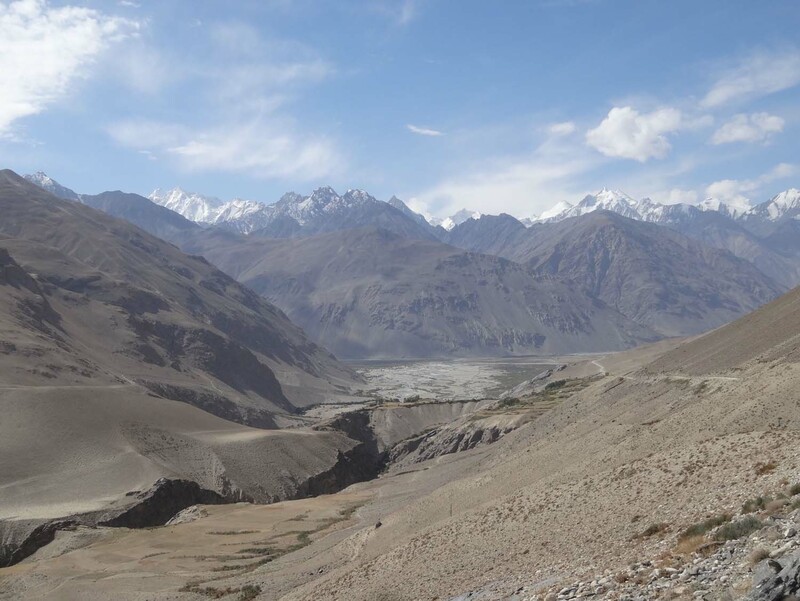 It’s hard to describe how beautiful the Wakhan Valley is. 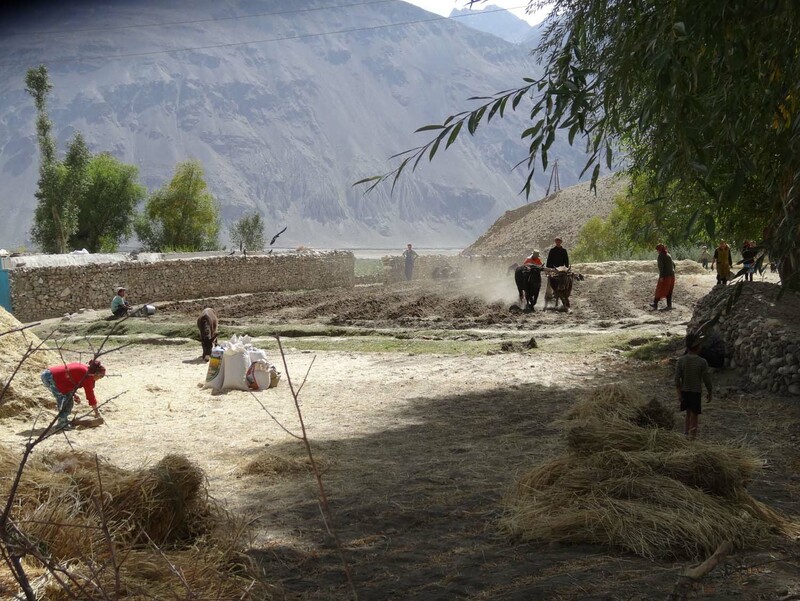 Life is tough for the people living here, but those living in the small, nicely kept villages who grow their own crops appear to have everything they need. The pace of life is low, people have time for a chat, a smile and of course a handshake. 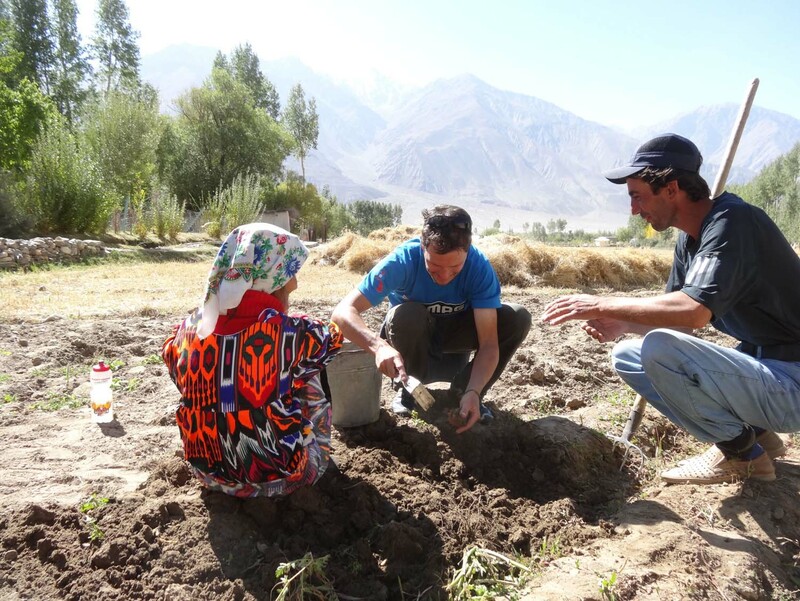 Harvesting is a very social affair and, although hard work as most things are done by hand, is done by young and old together. Grandfathers working next to their grandchildren and every age in between. 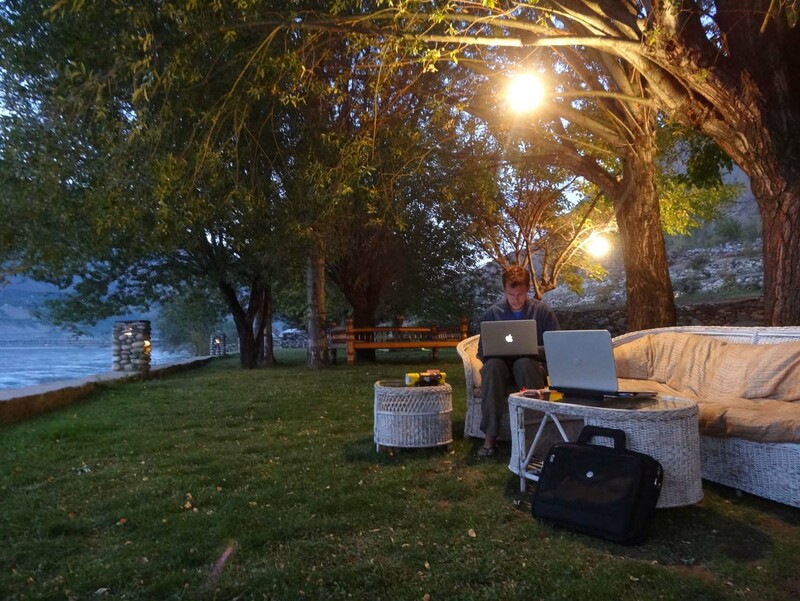 Houses are immaculately kept, gardens blooming with all sorts of flowers, perfectly made rock walls divide gardens and line the roads, trees everywhere providing much needed shade and the abundant mountain streams are freezing cold and crystal clear. And on top of this visual paradise, the people here are extremely friendly, always wanting to help you with nothing in return except for a smile, a handshake and a ‘cologh’ (thank you). We were told to park our car inside somebody’s garden when we visited the amazing petroglyphs of Langar, we were given potatoes and apples when camping next to a village, and were not allowed to pay for the bread we were given after we asked for some in a shop (the shop didn’t have any, but the owner did and he wouldn’t except any money for it) and so on, and so on. Everywhere we went we were given smiles, enthusiastic waves and right hands were moved to the heart area with a nod when we drove past (a polite way of saying ‘asalam aleykum’ or hello). We felt so welcome here and we were very happy to tell them about our journey, time and time again, using the map on our car. 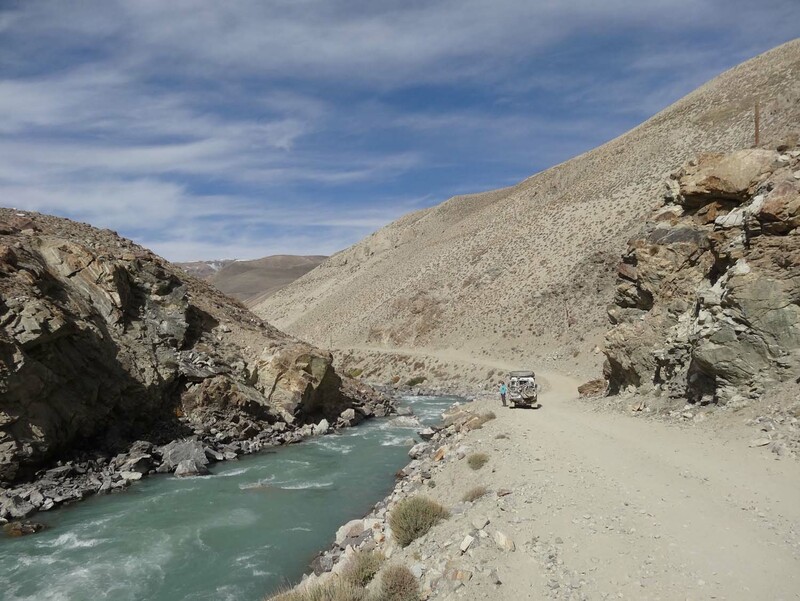 The map made it so easy to tell the story, and after hearing it, they all wanted to know if we liked the Pamirs and the Wakhan Valley, how many kilometers we had driven so far, where we were going and how long we had been on our way. 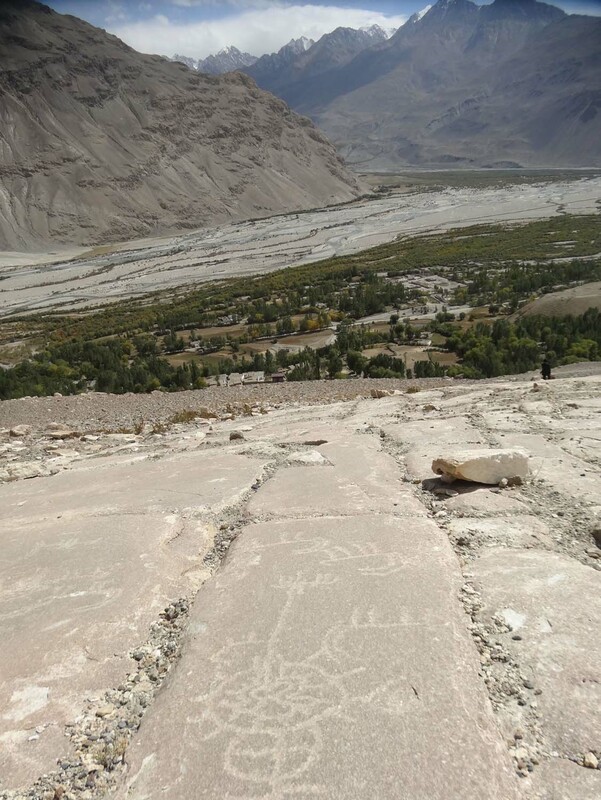 The Bibi Fatima hot springs and the Yamchun fort are right next to each other and are reached via a 6km steep and narrow track straight up the mountain. We ran around the fort for a while, built in the 12th century but also used during the Great Game in the 19th century when the British Empire and the Russians were involved in a regional struggle for power and land. 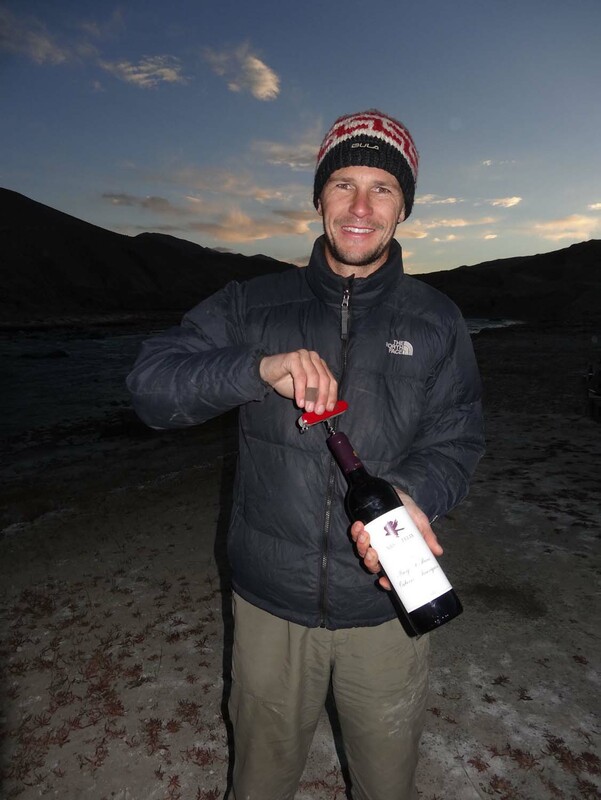 This is the reason the Wakhan corridor was created, as it served as a neutral strip of land between the British Empire in the south and the Russians in the north. 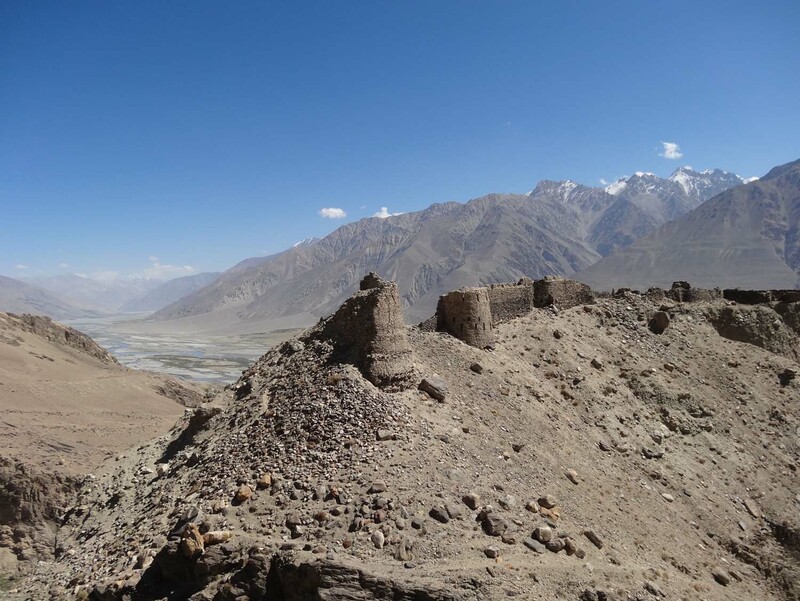 Both sides of the Wakhan Valley have ruins of forts remaining from that era. When we came back from the fort we saw another car parked behind ours, another Defender it turned out! 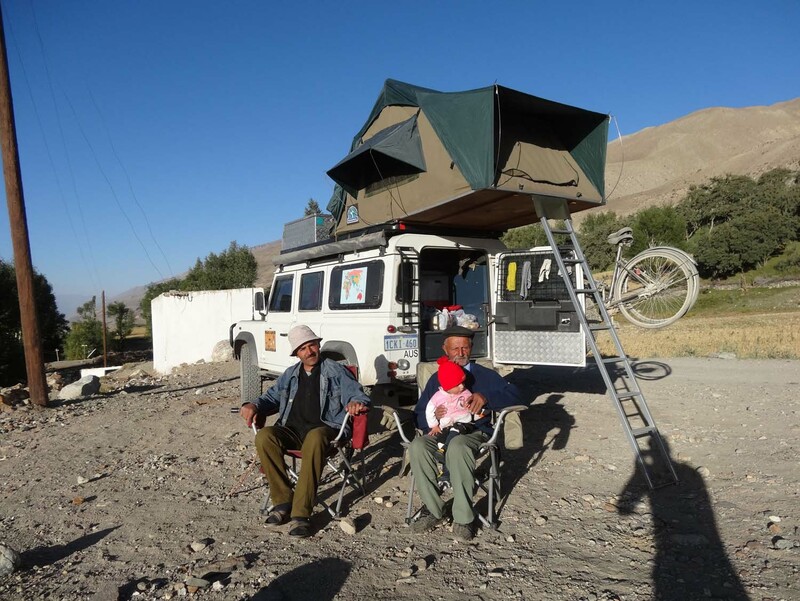 They were the first overlanders we meet in a Defender. We sat down for lunch and a long chat. 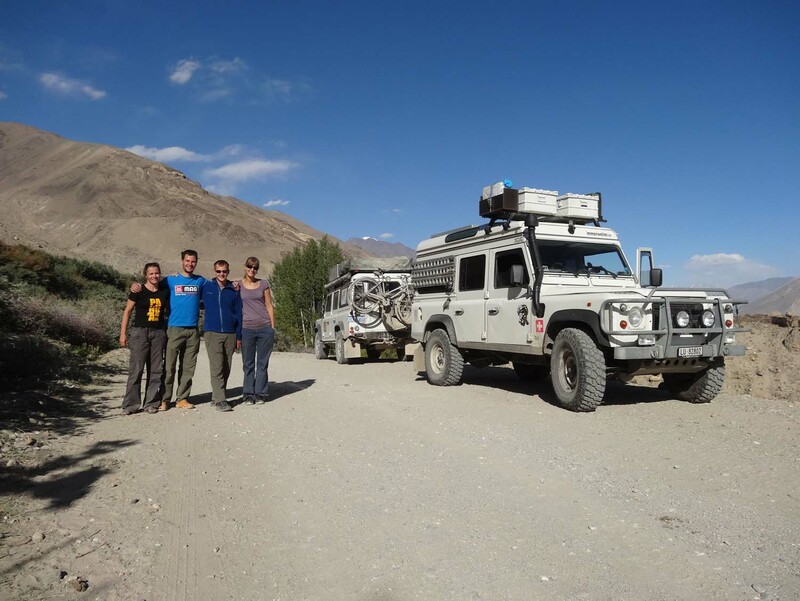 Linda and Silvan were heading the other way with their Swiss poptop Defender (looked great), so we exchanged information about the countries we had been to and were going to, before we had to say our goodbyes. Our next stop was the Bibi Fatima hot springs. Jon went inside as the men were in the springs when we arrived and Jude joined the ladies waiting outside, chatting to Donahoss who spoke perfect English, how lucky. Jon emerged very clean and with a red face and then it was Jude’s turn. As this is a place where women come who have problems having children, it is mostly a hot springs for women. 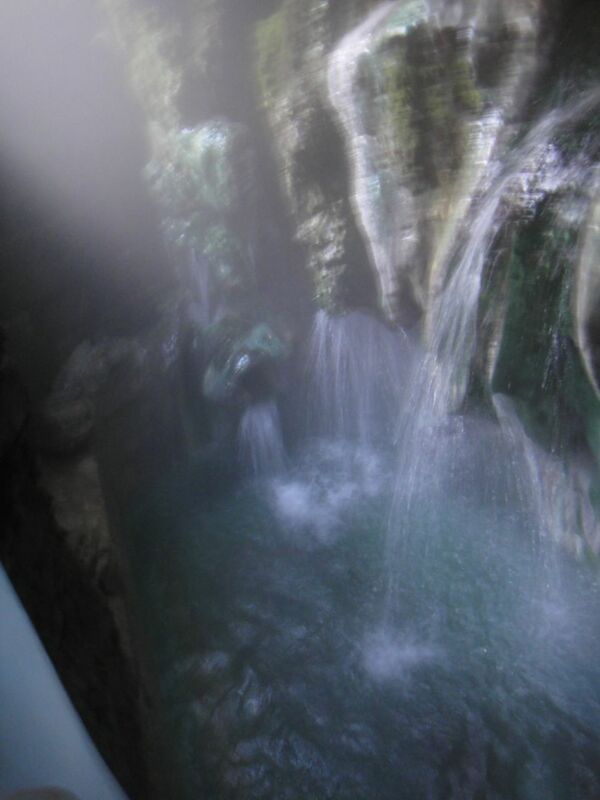 It is probably one of the most interesting of the hot springs we have ever seen, with the hot water pouring straight out of the stalactites and holes in the beautiful natural walls. It’s small, only 6-8 people can fit, and it has an even smaller cave where women climb in and say their prayers for babies. They dig up a grain of sand from the bottom and some even eat it for, probably, more babies. It was fantastic to be completely clean again after all the dust in the past days. 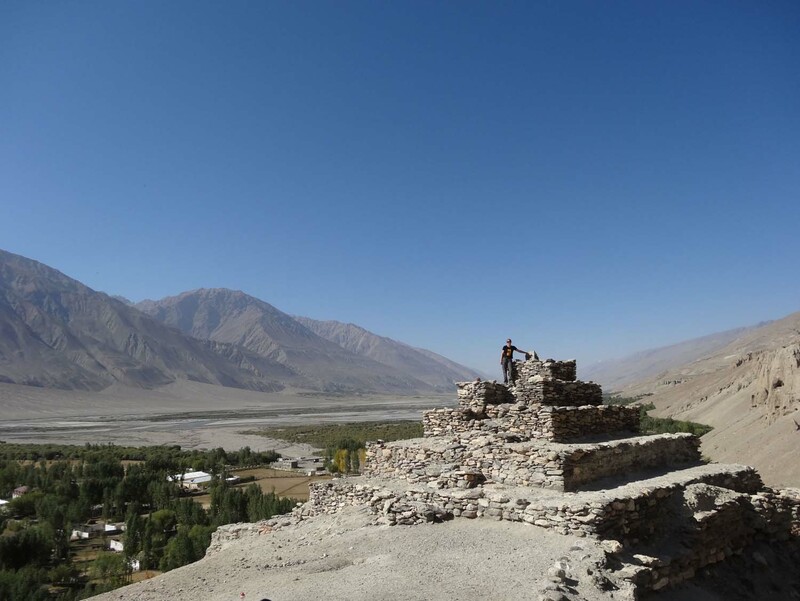 A little further on, in another tiny village called Vrang, we stopped to look at an ancient Buddhist stupa and some of the meditation caves around it, when we bumped into 16 year old Ruslan who again spoke perfect English. 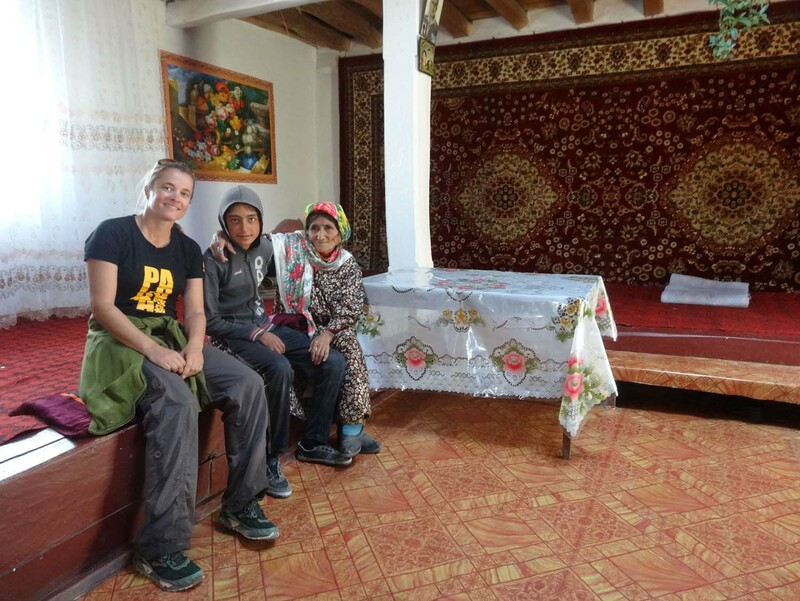 He invited us into his traditional Pamir house where his mum made us tea and we admired the inside of these fascinating houses. The main room is built around 5 pillars which is symbolic for the 5 pillars of islam, the skylight has 4 concentric levels representing (from top to bottom) air, fire, water and earth (there are no windows in the room). Around the walls are permanent platforms where you sit, eat and sleep. Both the walls and platforms are covered in colourful cloths. We loved the colourful smaller sitting mats which look like long, thin mattresses. Ruslan then showed us his grandparents’ house around the corner, much bigger but still built according to the same principals. He even gave us a performance on the rubob, a 2-stringed instrument played like a guitar. 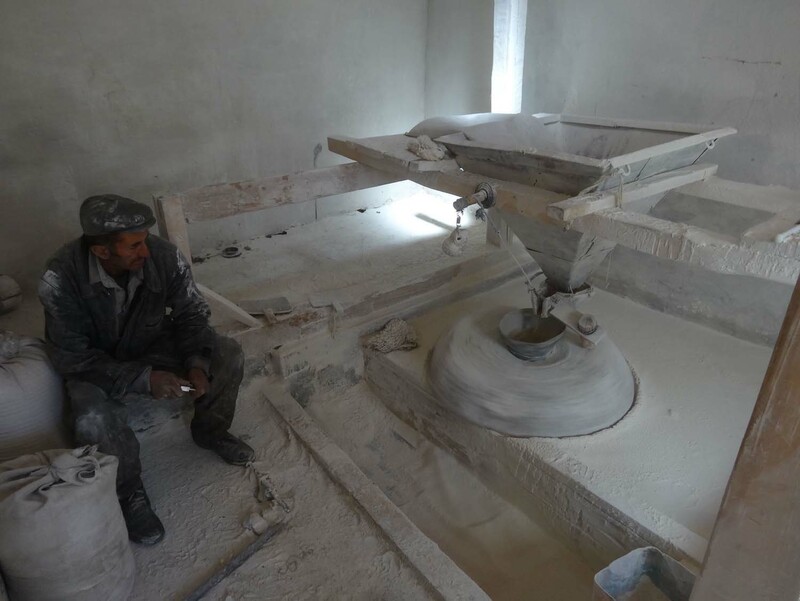 We’d already walked to the waterfall in the village, but on our way back to the car he showed us the communal waterwheel mills, in full swing during harvest time, and Jon got to dig out some potatoes so an old lady could have a break. Ruslan was really keen for a book in English and as we had finished one we gave it to him, good practice for him. 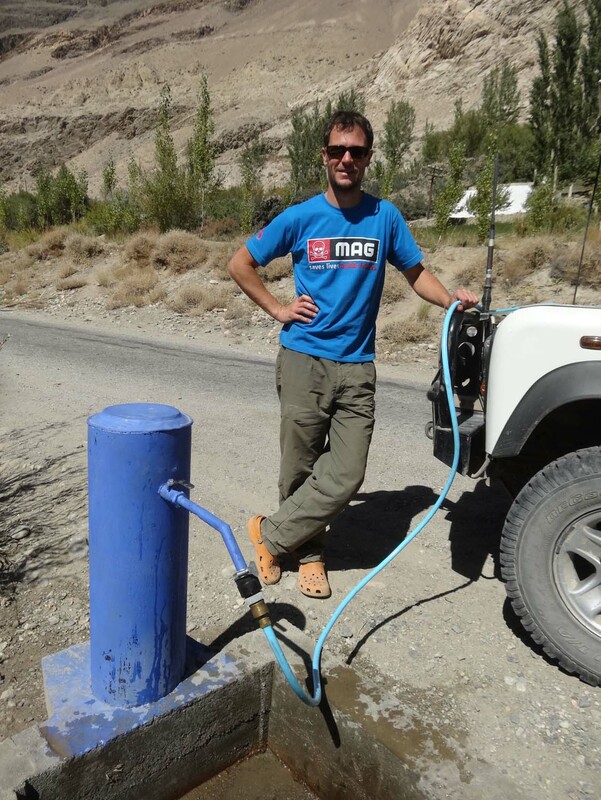 Every night in the Wakhan Valley we had a fantastic campsite, sometimes in the middle of nowhere, sometimes in the middle of a village and once, at the end of the Wakhan Valley in Khorog, in the gardens of a 5-star resort called Serena Inn. This hotel was built by the Aga Khan foundation, the Aga Khan being the spiritual leader of the Ismailis who live in this area. They are Shiite muslims, but don’t use a mosque to pray and don’t have a specific religious day of the week. Instead they use a ‘jamoat khana’ which is also used as a community hall, and both men and women pray together. Women on the left as the Qoran says the women came from the men’s left knee. They also value education a lot, including for women. We only discovered a little about this religion, and certainly liked what we learned. In Khorog we had one main job: getting an original form for the car import papers, instead of the blank piece of paper we were given on entry. This became a classical run-around town scenario. Officials in each government department we visited sending us on to another building, usually right on the other side of town of course. 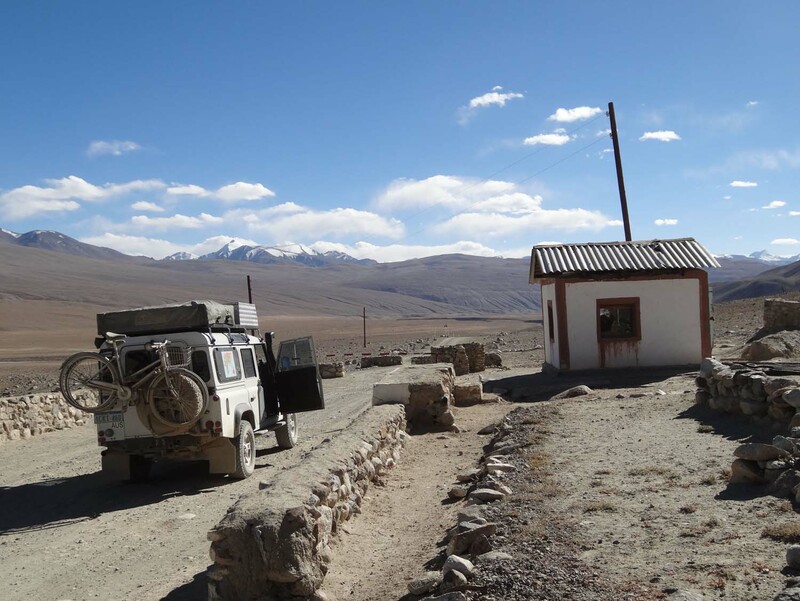 We drove up and down the main drag a few times, sometimes accompanied by a police officer, sometimes on our own, until we were sent even further out of town to the actual border control post with Afghanistan (right next to the Serena Inn where we had stayed, of course!). this is where we needed to be, obvious isn’t it? Another set of lovely pictures. How the heck are you going to get back to a ‘normal’ life after all this adventure? Another great post loved the house of Ruslan’s Grandmother. thanks Peter, it was an honour to see the inside, beautiful for sure! It is wonderful reading about the awesome places you are driving and the lovely people you are meeting, I look forward to every post!